We're showing information for 93551. Modern customers are clever. They do their research and only enter relationships with the companies they consider to be leaders in their industry, which means competition throughout the greater California area is relatively stiff. Palmdale, CA companies are working harder than ever to attract loyal new clients. Business owners who want to stand out need dependable, rapid connections to current and future customers. Frontier Business packages offer a variety of phone and Internet services—including Business High Speed Internet—designed to help you easily communicate with your clients and your team members. As the job-growth rate is projected to hit roughly 11.92 percent across Palmdale, The Golden State businesses need tools that maximize productivity, efficiency, and communication. After all, you’re competing not only for customers, but also for able talent that can embody your brand and help grow your business. With a full suite of features to help you stay in touch with your clients, partners, and prospective talent—Frontier’s services for small businesses are a business owner’s foundation. 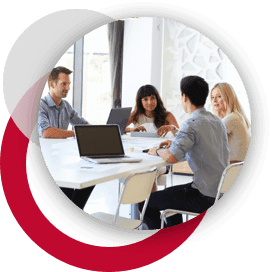 You can use features like Texting and Conferencing to keep your business at the edge of competition, while Frontier takes care of your other needs like Hosting, Web Development, and Managed IT services. Growth is great for business, but growing companies in California face unique challenges as they expand. Large businesses need specific solutions to help them maintain consistent growth in a long term context. Fortunately, help is available with Frontier’s Enterprise Solutions. For starters, scalable Ethernet, on both Local Area Networks and Virtual Private Lines can help your company’s system keep up with growing bandwidth demands. Security is also essential to your success—Frontier’s IP Virtual Private Network balances functionality with data safety by letting you access all your digital files over a secure IP connection. A scalable system that helps businesses perform under increased demand isn’t the only thing business owners need to keep up with the market in Palmdale. Connecting with clients no matter where they are in The Golden State is also important and Frontier Communications offers solutions for that too. Centrex from Frontier provides you with quality equipment and dependable telephone networks. Both are useful resources for connecting with your current clientele as well as for reaching out to potential customers. 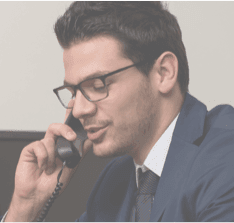 Voice solutions promises clear phone calls over a reliable network, while Frontier’s Hosted VoIP solution offers your business access to unlimited nationwide calling and standard features like Voicemail and Caller ID, all in addition to advanced features such as voice-to-email integration. Plus, Frontier takes care of the details like network design, managing equipment, hosting, and monitoring, leaving you more time for your customers. In every industry--whether it is Health Care, Finance, Education, or Retail--customers want to quickly connect with reliable service providers. The residents of Palmdale, CA have the same expectations. Your customers will expect to be able to get in touch with you over their preferred means of communication, whether that be through email, on the phone, or in person. Meeting these needs will help you attract new customers and retain current ones. Frontier provides your company with dependable customer service, up-to-date infrastructure, and advanced equipment. And since Frontier's services are catered to specific industries, it is easier than ever to stay in touch with your team and your customers. Let’s be honest: no one likes waiting. With Frontier business Internet, your business can benefit from speeds of up to , which surpasses the 37Mbps average Internet connection speed in California. With Frontier’s faster Internet, you gain the freedom to focus on helping your customers and talk with staff more often. And the benefits don’t stop at internet speed. Cyber security is another important business need that Frontier is prepared to address. In 2013 alone, California saw 0 reported cybercrimes. Protect your company and your customers with support from Frontier Secure, which includes services such as malware and virus protection, cloud backup, and top-of-the-line tech support. Businesses in California can also take advantage of a number of equipment replacement programs offered by Frontier, in case anything gets lost or stolen. Frontier Internet service delivers you the speed and protection you need to stay ahead of the competition—no matter what industry you’re in.